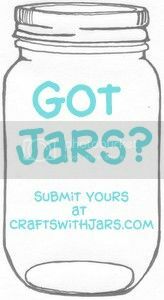 You can make these paint drip jar candle holders in just minutes! 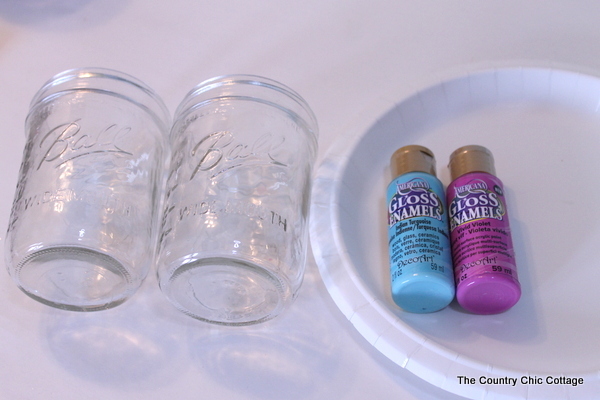 Grab some paint you have on hand and drip it over the sides with the instructions below. 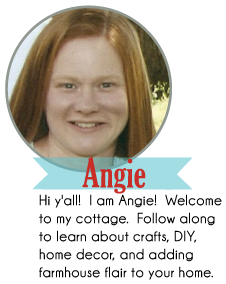 Choose any paint colors that you love for this project. 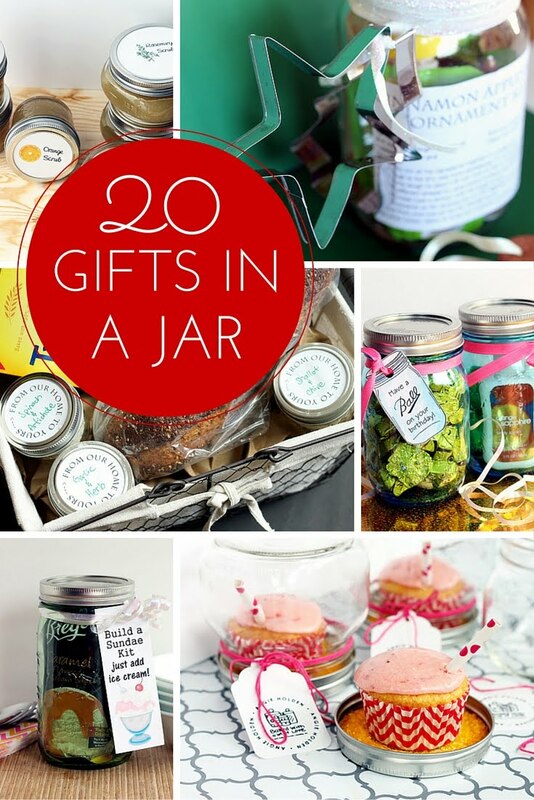 You can also vary up the size and shape of the jar to use any you have on hand. 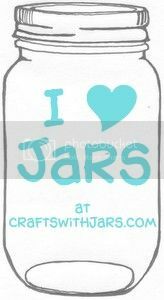 Turn your mason jar upside down on a paper plate or other protective surface. 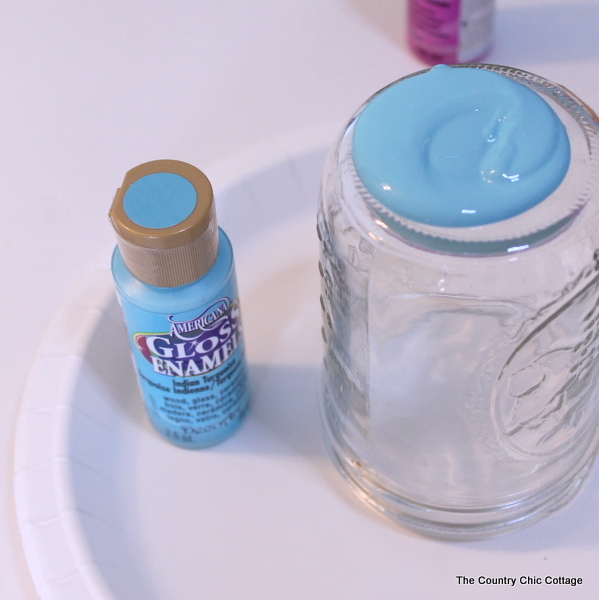 Pour the paint onto the bottom of the jar. 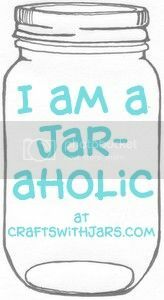 Tip the jar in various directions to get paint drips around the outer edge. Add more paint if you need to during this process. 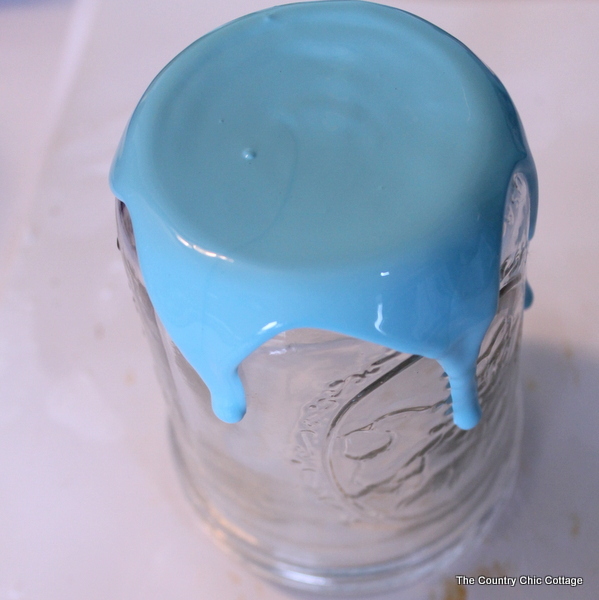 Once the paint starts to drip around all sides, set the jar upside down on the plate. It will continue to run as it dries. Allow to dry at least overnight as the paint is very thick in some places. 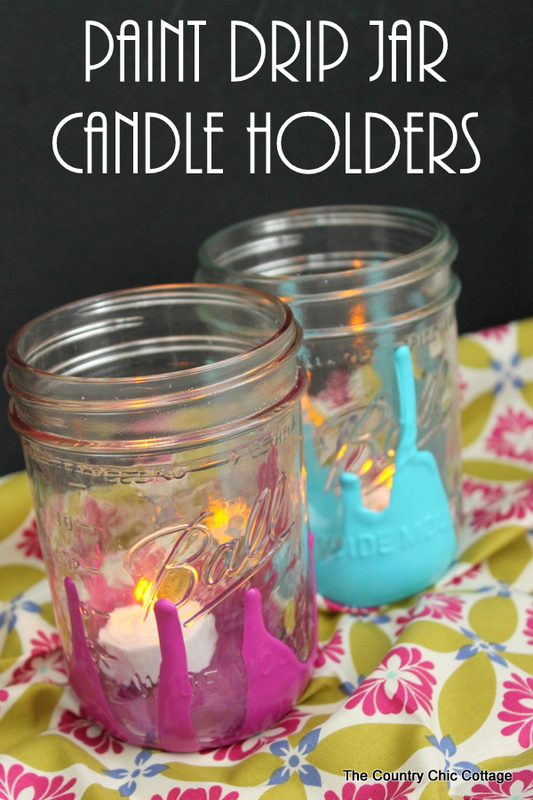 Once the paint is completely dry, add in your tea lights and display these fun jars around your home. These are perfect for outdoor parties this summer! 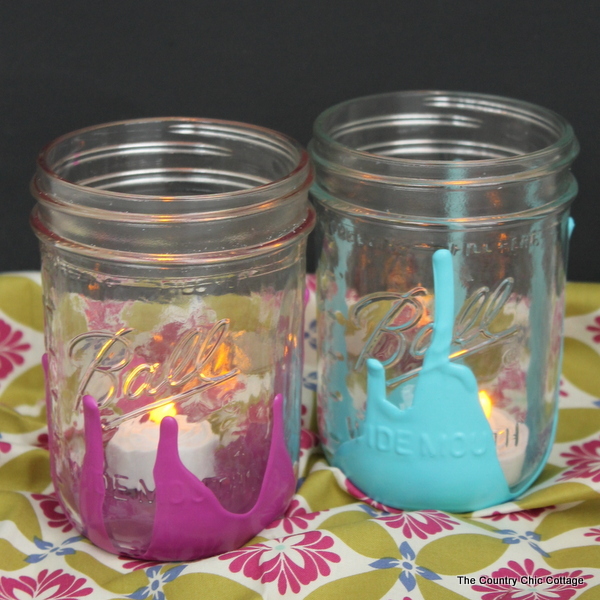 Make a few of these paint drip jar candle holders for your home.